“Should I be doing something for you for Mother’s Day?”, he asked. “No, we don’t have Lil, that’s something we do with her. I’m not YOUR Mom.” I chuckled back. I reflected on this thoughtful exchange throughout the day yesterday, on Mother’s Day. Mostly, my feeling tone with it. Did I feel I needed that acknowledgment from him, or anyone else, on that day? The answer was a peaceful “no” deep inside. And a greater relief that that type of attachment did not land in me and nest. I was exposed to needs like that for a very long time as a child. Mother’s Day has always been a challenging one for me. Every single one of my remembered days, it was a challenge. I’m sure even the ones I don’t remember, from the age of four and back. My mother was very sick already by my fifth Mother’s Day and gone by my sixth. Then there were the years of awkwardness with a Grandma raising us, celebrating my father’s mother’s Mother’s Day. Better than nothing and ultimately better than what was to come. Marjorie, our stepmother, who entered the family a few months before my tenth Mother’s Day, changed the whole deal when it came to everything Mother. The first shift was the terminology. Our deceased mother was no longer our mother, or Mommy, as we always referred to her. We didn’t even get to keep Mommy at all. She was relegated to “First Mother” and Marjorie, our “Real Mother”. We had no choice in the matter, we were just given this instruction very early on in our relationship. I was slapped in the face repeatedly one day for not using the appropriate terminology for her in the appropriate tone. I just can’t even imagine what breeds that kind of thing. I don’t think any of us kids ever had any real warm feelings for Marjorie, much less a motherly connection. Not for lack of trying as we were desperate for a mother–in the sixties there were very few divorces at our age and even less motherless children by death. With Marjorie, we were simply following the sets and layers of new rules and behavior managements she instilled into our family dynamic. But all of that is for another time. This, after all, is a Mother’s Day post. And even though Marjorie, our adoptive mother, demanded all of that structure, imposed her needs for identity on to us without our input or natural evolution, she was never my mother. Then, or now. She never proved that so succinctly and clearly than when she wrote my brother and I out of her Will. For no real identified reason. She willed all of her money to her nieces and nephews, making sure it was clear with the line “Kathy Monkman and John Monkman Jr. are to be specifically excluded from any proceeds”. No one ever told us, much less explained it. I stumbled across her estate documents accidentally months after she died. Marjorie, who worked so hard to claim us in life, left this world in full disconnect with us with no explanation. Specifically excluded indeed. That line remains almost poetic to me in its description of the entire lifetime with her. I am in Lillian’s life for just over three years now and my biggest challenge is restraining myself from over-giving, not withholding. Living it now, makes so many things we lived through then, even further from my comprehension. I have often said that Marjorie’s greatest gift to me was to teach me how not to be as a stepmother. Yesterday though, those words got redefined. She did not teach me one thing about how not to be, because I simply do not have the beingness to do any of the things she did. I am relieved over and over again when I see the absence of those seeds inside myself. We sometimes don’t know where trauma roots itself, until it rears its ugly familiar head. It’s not in my makeup to demand anything from Lillian when it comes to me, how she feels about me, how she relates to me or identifies me. She has taken lately to say things like “I have two moms and two dads”, which I’m ok with, and I’m ok with that changing. I’m ok with it all, because I truly love this child and am not attached to anything beyond us loving each other. I also hold deep reverence for her own mother and not confusing the issue for her. I know who her mother is and she should too, guilt-free, conflict-free. She simply should be free in this regard. Marjorie, for some reason I will never know, seemed to possess this wall or this emptiness or this inpenetrability when it came to love, at least with us. I never once, not in all the years she was in my life, felt the gratitude emerge from her that I feel every single day being in Lillian’s life. The gratitude of getting the chance to mother, I mean. The gratitude of that amazing gift is not something I take lightly–everything stems from that place–how lucky I got at age 55 when all seemed to be lost. After years of contemplating this fate, I finally came to the conclusion, that it was/is to be me to be the end of the road for the Monkman lineage–our specific family tree filled with only-children I mean–its branches are not that broad. As I will most likely outlive my brother, the line ends with me. I simply was not meant to breed. Yet, I surely wanted to mother. It was a terrible and tragic deep loss I had to incorporate in to my life, that hit me hardest when I turned 50. Yet, the stars aligned in midlife and I got my let-go wish in the form of this adorable three year old girl, who will likely not remember much of her life without me in it. We’ve now known each other longer than we’ve not known each other. It is one of the most natural, easiest relationships in my life. This mothering, I’ve decided, comes natural to me, not from my trauma and avoidance of certain ways of behaving, but from my own mother, Dorothy June Schlosser Monkman. I feel to the bottom of my soul, that my mother instilled so much good mothering in me, that no attempts to erase it, or her, were ever effective. We had a wonderful Mother’s Day yesterday, John and I reflecting on many things motherly throughout the day, while mothering each other with exercising together, making good food, hot tubbing, cuddling and long talks. We both have motherless pasts, so no explanations are needed. We just take care of each other now. At the end of the day, we Facetimed with Lillian as we always do. As soon as she saw me on the screen, her little six year old face lit up–a face my own mother never got to see in me–and she said “Happy Mother’s Day Kathy!”. It was like she was just waiting to tell me that. Those words penetrated as deep in to my heart as they could — my heart is still softening and opening and thankfully, we have a lifetime together for it all to deepen. I know this. It doesn’t happen immediately or automatically because you have adoption papers or a marriage certificate. This mother-love has a way of loving you at its own pace, healing you along the way. My mother’s love instilled in me, is what guides me. It’s what rises up. Not some “what not to do” manual that I lived for nearly thirty years, but what is in my heart, which, sadly, Marjorie never scratched the surface of. I was way too busy defending myself against her defensiveness. It is sad, for all of us, and for her. I am filled with gratitude for my mother, for Lillian, for my husband and for all the people who have mothered me along the way. Because finally, in these later years of my life, to my awestruck surprise, I’m getting it all. 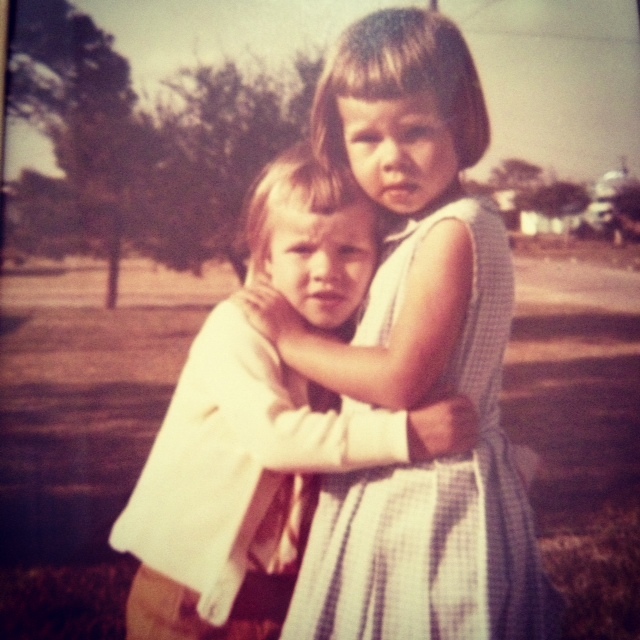 For those who know me, either in person or through this blog, you know I’ve been delving in to the story of a woman who’s older sister Cindy was murdered by her husband. You know that I’m so curious about the dynamics between a sociopath and its prey-–a beautiful, successful, educated, popular woman from an upstanding family who walked right in to a trap--that I’m writing a book about these things to, perhaps primarily, help me to understand them on a very personal level. You know that finding meaning in these terrible traumatic events, and their ripple effect, has been a driving force in my life and my writing life. How a man can walk right in to a woman’s life–a woman who seemingly has everything going for her--and take control so hard that it leads to grave danger, and ultimately homicide. These are the things I have contemplated for years now. You know that understanding the back story of the crimes, the effect on a sister, and the origins of the victim’s choices, are subjects that I’ve sunk my teeth in to since I began this blog. For those unfamiliar to me or my blog, you may think I’m referencing the Podcast Dirty John and its female protagonist, Debra Newell, as well as her sister Cindi, who was murdered by her husband. Debra ran in to, perhaps her own worse nightmare —a sociopath— much later in life after her sister was murdered. Many crimes were committed. Some by Debra herself, albeit not in the legal realm. I have listened to this podcast twice now. It is hitting me on so many levels, I’ve lost count. Of course you regular readers and friends know I am not referencing Debra Newell here. I’m referring to my own older sister Cindy, who was murdered by a sociopath–who walked right in to her own trap, with her own warnings and red flags (although not nearly to the level that Debra Newell was privy to). Dateline is airing a one hour episode highlighting the Dirty John/Debra Newell story tonight. I will be watching and I have a lot to say about it, but don’t want to reveal any spoilers, so will wait. If you want to catch up on this story, here is the link from the LA Times. Let me just say that there are many victims in this terrible tale, some of whom are not who they would like you to think. There are also heroes, some of whom seem to not be recognized in this most recent telling of events (but I’ll wait and see before confirming that). There are also family dynamics that make my own web of history seem like a cakewalk in comparison. Sad and sick generational dynamics, that literally led to two murders, in my opinion. Not in the sociopath’s family, but the victims’. Stay tuned, as I have a lot to say, and it will be coming soon.